Universal Stage Productions, Working Title Films and Old Vic Productions have announced that after 4,600 performances, and with the Victoria Palace Theatre's previously announced refurbishment programme, the multi award-winning West End production of Billy Elliot the Musical will play its final performance on 9th April 2016 as the production celebrates its eleventh birthday. The show has been seen to date by over 5.25 million people in London and nearly 11 million people worldwide, has grossed over $800 million worldwide and is the winner of over 80 theatre awards internationally. There are plans for the first UK and Ireland tour of Billy Elliott the musical has been announced, opening at the Theatre Royal Plymouth on 24th February 2016 viiting ten other venues until May 2017. 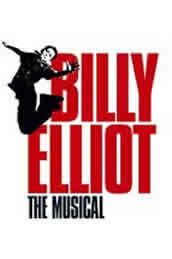 There’s also hope Billy Elliot might return to London - perhaps in two or three years’ time. 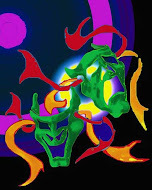 And although the stage show was the offspring of the 2000 movie written by Lee Hall there is a desire to make a picture based on the musical. Hall and Elton John, who wrote the music, and both are eager for this to happen. Fellner, who runs Working Title films has confirmed that the Billy Elliot musical movie project was ‘chugging along on active development’. It’s three or four years away,’ Stephen Daldry insisted the new film would be wholly different from the 2001 one saying ‘We’d probably look at the miners’ strike in more detail'.